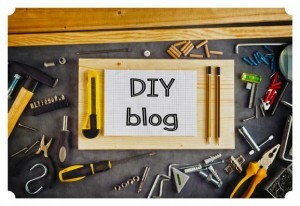 We have many carpentry blog articles located on our main DIY Blog page. Warton Woodworks believe wood is a fantastic material to work with. It is natural, and can be cut using standard DIY tools. 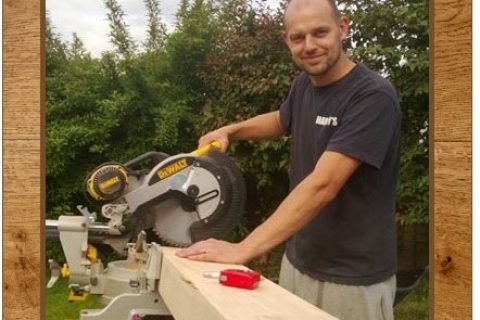 Our DIY Blog aims to provide carpentry guides to people, no matter what skill level they are. Best of all, there is always something new to learn about woodworking. Maybe you want to learn woodworking skills for home DIY projects. Or just want to create something amazing out of wood, like a sculpture. Whatever the case, carpentry projects are only limited by your imagination. We hope to provide you with the inspiration and guidance to get you started. 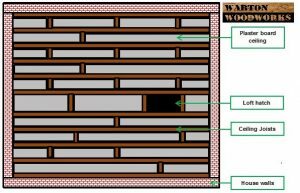 You will notice that the Warton Woodworks DIY Blog have many carpentry and building related guides and tips. Most our articles contain real projects carried out by our tradesmen who are willing to share their experience with you. We are proud of our carpentry and building achievements, regularly posting fantastic images and step by step guides. We have provided a summary below of what you can expect from our DIY Blog. 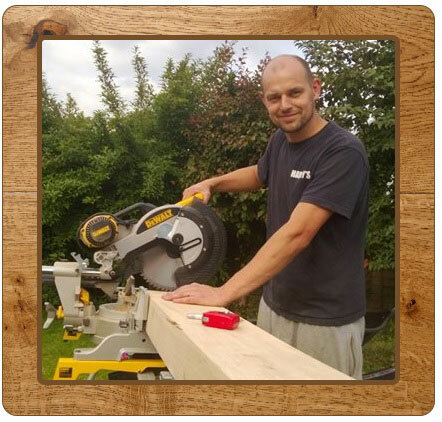 Many of our customers require carpentry related jobs to be carried out within their home. You will see many of these projects incorporated into our DIY Blog guides. Such projects include roofing, wood flooring, kitchen fitting and decking. Below are some examples of the carpentry guides we provide. Many people underestimate what is involved when installing skirting board. This is because most people do not realise they need to carry out a scribe type of cut for internal angles. 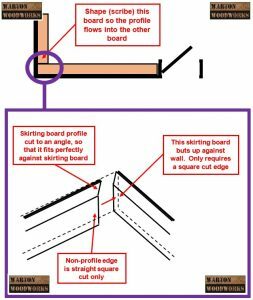 You can check out our guide to installing skirting board here. Loft boarding is a common DIY job. It becomes more complicated when you need to insulate your loft too. Find out how to board and insulate your loft here, with our step by step guides. If you are a home owner then you have probably needed to carryout DIY on your home. We create all kinds of general building guides for different trades such as plumbing, electrical, roofing, insulating and more. We even showcase entire projects from start to finish, giving you hints and tips throughout. 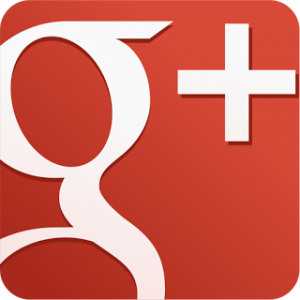 Below are a few examples of the building DIY Blog articles we provide. 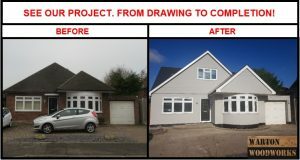 We converted a 3 bedroom 1960’s bungalow into a 5-6 bedroom house, via a hip to gable loft conversion. 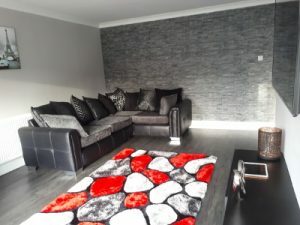 This project was based in Essex, United Kingdom. Click here to see a loft conversion from start to finish, which includes over 100 images! Most home owners would love a garden bar, but probably do not know how to achieve it. You can view our step by step guide to building a garden bar here. 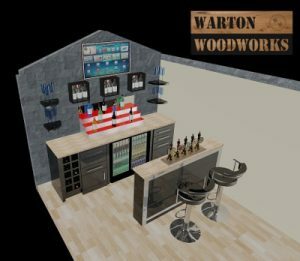 The guide shows you how we converted a customers garage into a modern looking bar. 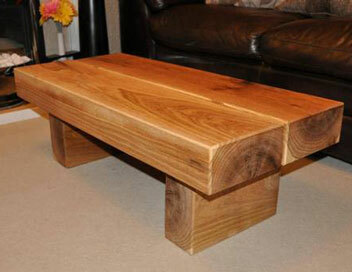 Sometimes we like to make bespoke oak furniture. So far we have made a coffee table and a double bed. All oak furniture we make is from greenwood oak. If you wish to read more about the furniture to make and sell, click here.